Posted on Friday, November 14th, 2008 at 10:50 pm. 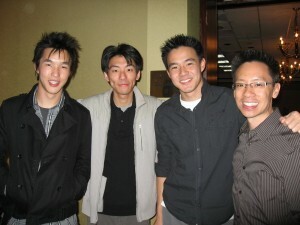 During the past year, I was fortunate enough to hang out with the guys of independent filmmaking company Wong Fu Productions on three separate occasions, in three different cities. As they jet-set from coast to coast, campus to campus, their fans instantly recognize them and never quite allow them to be the international secret agents they hoped to be. Their fans know what I’m talking about. Despite the young crowds that recognize and surround them wherever they go (I even noticed discrete phone cam shots out of the corner of my eye), they were gracious enough to allow me some of their time and a glimpse into their lives as emerging filmmakers. Earlier in the year, I caught up with Philip Wang and Wesley Chan at the Opening Night Gala of the San Francisco International Asian American Film Festival. 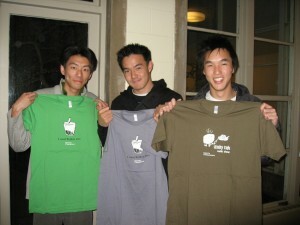 Ted Fu who was unable to attend due to other commitments, completes the trio. Among the powerhouse gathering of Asian American filmmakers, directors, producers, and actors at this premiere festival, their fresh faces were just starting to gain the instant recognition that many of their senior and more established “Hollywood” counterparts have attained. But what many of you already know is that among the high school through young adult community they’ve garnered an amazingly huge worldwide fan base that fills auditoriums at student conferences, swarm them at local screenings and meet & greets, and follow their every move on their wongfuproductions.com website. Fortunately for me, having recognized them in a sea of Asian American filmmakers and fans, I was able to chat with them briefly about their recent successes without having to fend off their usual crowds of star-struck fans. 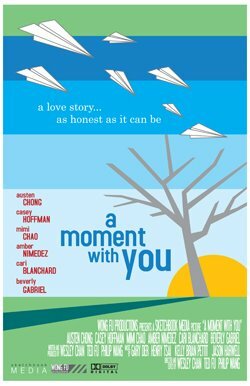 Over the course of the year, I met up with them again at the ITASA Midwest conference at Northwestern University in Chicago, and again most recently at UC Berkeley as they close out their Autumn Tour with a screening of their most recent feature film, A Moment with You. Fortunately, this time I managed to complete this ongoing interview to share with you, the audience of TaiwaneseAmerican.org. What a privilege, too, as I know one more thing: These guys are going to make it big in the next few years as they continue to develop their independent film productions, refine their breadth and talent, and grow with their loyal and admiring fan base. Anyways, I think I almost have Frequent Flyer Groupie Status now. I’m sure their throngs of fans wish they could be in my shoes hanging out with these laid-back guys at major festivals, conferences, and events. 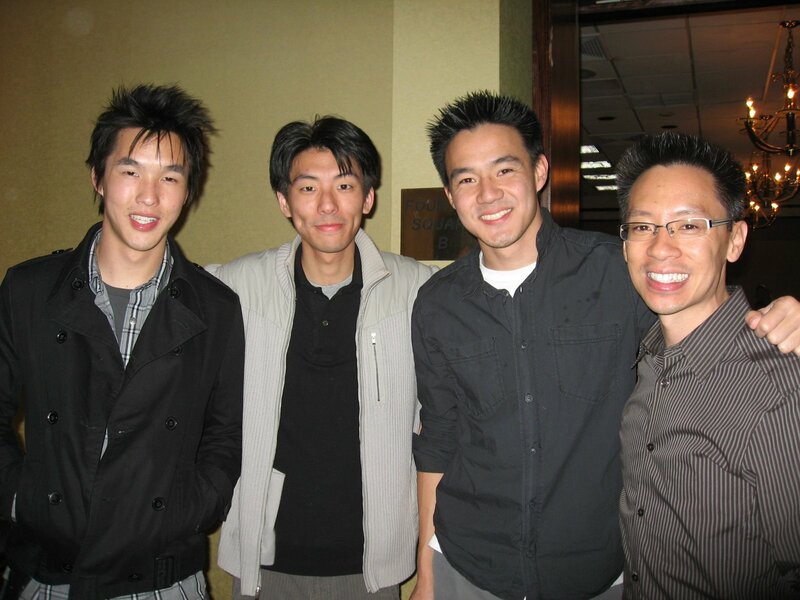 But, here, I provide you the next best thing: an interview with the creative minds of Wong Fu Productions, and an opportunity to win a free autographed copy of one of their DVDs! Read on, friends. HoChie: Hi guys! Thanks for joining me today! 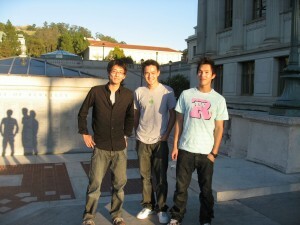 Glad to see you here at UC Berkeley! How was the trip? Phil: It was good! A quick drive for Ted and me. 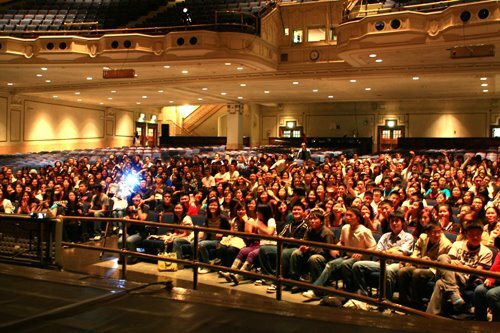 Wesley: I came up to the Bay area early to speak at my old high school’s career panel. Ted: It’s good to be here! 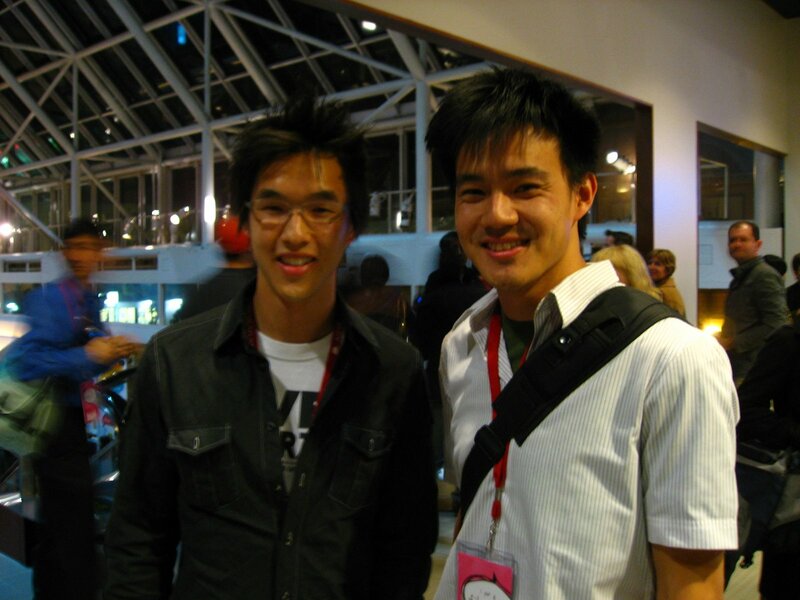 HoChie: So, I know that Wong Fu Productions started out with just Philip working on a music video as a student at UCSD and therefore carries his nickname “Wong Fu” in the company name. But how did the three of you actually meet and discover your mutual interest in working collaboratively? But more importantly, how did you guys know you wanted to stick together? Phil: So, this is how the story actually goes: We went through half of our college careers without knowing each other, but during our third year, we were in a visual arts class together. That’s how we met. We had to present projects at the end of each week, and I was really impressed with their work. To be honest, I was intimidated and scared of them at first, but as the course went on we became really good friends and started working together on projects. We stuck together because, creatively, we were on the same page. We had a lot of respect for each other, and we enjoyed doing this, too. From an artist’s standpoint, when you can find others who have the same creative eye as you, that’s really an important thing. Ted: Plus, I think it’s really funny that my last name is Fu and Phil’s is Wang… I think that’s hilarious. Phil: And a lot of people think we created the name together and left Wesley out. Phil: He actually doesn’t mind though. HoChie: You guys are now doing film and video production full time since graduating in 2006. Did you always know you were going to go this artistic route? Ted: Actually, I started out as an electrical engineering major, but switched out one year later after doing a summer of computer animation and really loving it. So I just decided to switch my major. 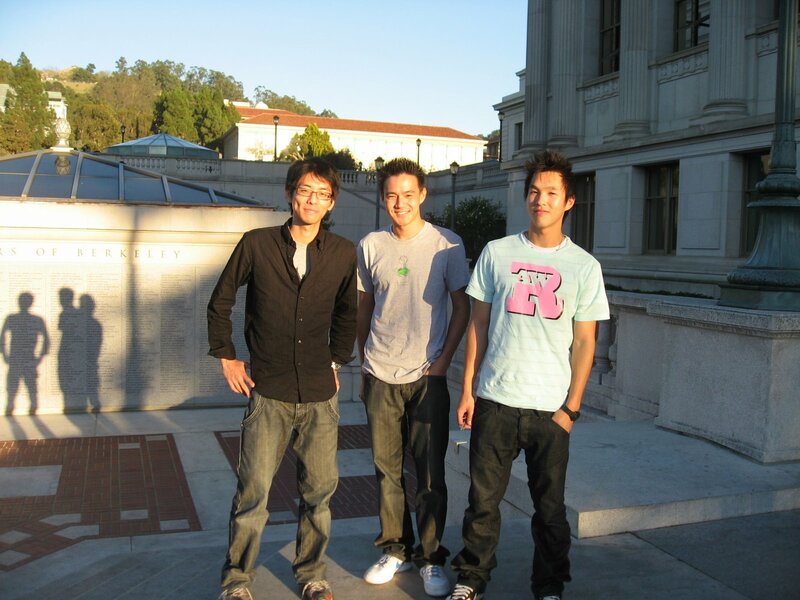 Phil: For me, I started out college undeclared, but during my freshman year, I was making a lot of fun videos with my friends. I was going to go into Econ, but I realized that I wasn’t good at math, and Econ has a lot of math… [Chuckles] One of my friends suggested that since I was making all these videos, might as well get some credit and get a degree in it. HoChie: What would you say to the students out there who are in majors they’re not happy about? Phil: We’re not trying to override any of their parental suggestions, but we do think that if you want to be creative, you should let that side out – perhaps as a hobby or doing it on the side. It doesn’t have to be your career, because it can be risky doing what we’re doing. But if you have a love for something, there’s a way to express it. HoChie: It seems to me that one of Wong Fu Productions’ missions is to tell the stories of Asian Americans and to inspire young talent out there. What kind of advice do you offer to Asian Americans who are pursuing “non-traditional” careers or even to those who pursue the arts as a hobby? Wesley: I think it’s crucial to nurture the creative side no matter what, despite other influences you have from parents or friends. I think it’s ok to be patient in order to figure out what that passion is. HoChie: Even if your parents don’t agree? Wesley: I think parents shouldn’t have a problem if there is a balance between what you want to do and what is more practical. Going into a more “solid” field is secure, but at the same time it’s important for the individual to grow personally and creatively. When you develop a wider range of hobbies and interests, you become a better person. I think parents are more proud if you can tackle many things at once. If you’re the kid that got straight A’s and mastered oil-painting and playing the piano, that’s even better. In that sense, don’t limit yourself to what you’re “told” to do. It just seems the parents push their kids to do all these things because they’re more into the college applications than the students are. Phil: Our parents don’t worry about us much anymore. If anything, they tell us to slow down because they see us working so hard. HoChie: So tell me how a project gets started, and where filmmaking and the business end of it come together. Wesley: Well, whoever initiates the project will be the most involved in it. For example, Phil just recently wrote a short film, and he as the writer has the vision for it. And the other two will be there just to help and give input. It’s pretty much free-flow. Ted: We also have our business end through our other company Sketchbook Media to serve clients and get paid doing online, web, and video work. Phil: It was our way of separating our own personal work with our client work. Lately, we haven’t been doing that much freelance work. We’re very lucky to have this revenue coming in from our Wong Fu Store. Ted: We are surviving. We’re paying the bills, but it’s tough. HoChie: One of your first online films which gained instant popularity, Yellow Fever, touched on the subject of interracial relationships and definitely represented a common perspective of the Asian American male. What made you tackle that topic? And have you dealt with any controversy or critique as a result? HoChie: I think that subject matter is something people can relate with, especially Asian American guys. With the amount of influence you have now, do you think your perspective has changed over the years? Do you look at your role any differently? Ted: In the past couple of years, we’ve realized our importance in the Asian American community. It’s a pretty big role, so we try to do things to help the community and to bring the community together. Phil: We know we have that responsibility now, and it sort of just happened. We don’t take that lightly. We know there are a lot of people watching us, and we want to represent them well. We want to have a positive voice. And hopefully people will support what we’re doing. Phil: For all of us, inspiration just comes from daily life. It sounds very ordinary, but I think that’s the whole appeal of Wong Fu Productions. When people watch, it’s something they can relate to. It strikes a chord with them. And when you can create that with an audience, you can create some longevity and meaningfulness. I really value that. Ted: We come up with ideas randomly sometimes. And we just talk about it, and everyone adds on to the idea. If it’s an idea that we think will work with our resources, we plan it and shoot it. In the past, we used to be more spontaneous, but nowadays, with more responsibility and tighter schedules, we do a lot more planning. HoChie: Wesley and Philip, you presented your short film “The Spare” at the San Francisco International Asian American Film Festival? But since then, you’ve been to many other festivals including the world renowned Cannes Film Festival in France to show “At Musing’s End” and “A Peace of Home.” How was that experience? Wesley: We went for two reasons: First, because our films were accepted, and second, it was an opportunity to pitch one of our other feature film concepts. We had a lot of meetings. Phil: We also threw that event on the beach, too, with Far East Movement! Wesley: I wish we could have enjoyed the festival more, but we had a lot of interviews. It was really overwhelming just being at such a world-recognized festival. It makes you realize how much filmmaking is a business and how numbers really matter. It really puts it in perspective. HoChie: Philip and Ted, I believe you guys are of Taiwanese heritage, right? Where did you grow up, and what kind of experiences did you have growing up that may have influenced some of your career choices or film subject matter? Ted: I was born in South Africa. My dad works for the Taiwanese government as a diplomat. I actually lived in Taiwan for a little bit, about two years. I learned the language and absorbed the culture. Phil: I was born in America, but my parents were born in Taiwan. I just think having this Asian upbringing really adds another layer to our experiences as Americans. Our upbringing has definitely influenced our values and our lifestyle. I think it’s really valuable, and I don’t want to hide it. I am very proud of where I came from. HoChie: And it shows! It seems that about 90% of the faces in your films are actually Asian American! Phil: Yeah! It’s necessary! I mean, Asian Americans have so little representation in the mainstream media. We just feel we have to put them in our online videos. HoChie: Have any of you visited Taiwan before? Any plans to do any projects there? Phil: I went for the first time when I was in junior high. I don’t remember very much except for the heat. Phil: Yeah, ha. I went back this past August, and it was my first time back as an adult. I fell in love with it! It was an experience that opened my eyes. I had heard many stories of how Taiwan has changed, and it was just great to experience it first-hand. HoChie: Any plans to do any projects there? Phil: Yes, we do. This past trip, we wanted to shoot some stuff in Taiwan, but we didn’t have time. We’re hoping to do it next time. HoChie: I’ll be looking forward to that! So, how do you cast the actors in your films? Are they all friends of yours? Wesley: It depends. If it’s a personal project, we usually use our friends because it’s more fun for us, and there’s a better interaction with our friends. Plus, we can see who will be good to fill a role or sometimes write the character to fit them. For a bigger project, say for a feature, we hire professionals if we have the budget. HoChie: Since graduating college, I understand you guys are all now living and working together. What’s that like? And what is a typical working day like for all of you? Phil: It’s good! I think it helps us a lot. We essentially live, eat, and breathe Wong Fu Productions, and that’s the only way we can grow as a company if we’re on it full-time… actually more than full-time. The only problem is that we don’t know when it’s work time versus leisure time. It all blends together. We always feel like we have to be working since we’re at home. HoChie: I saw your “burrito” video blog, which was really amusing! It sounds like your social and hang-out time also blurs into your video work, blogging, and public interaction time. HoChie: What’s next for Wong Fu Productions? Anything we should be looking out for in the meantime? Ted: Well, we’re growing the website and trying to get some of our Nice Guy and Wong Fu shirts and merchandise out to some stores and boutiques. Phil: Yeah, and we’re hoping to expand it to become a hub for young Asian Americans where they discover Asian American arts and entertainment. We’re trying to make it more user-based. Phil: And of course, we’re working on a lot of shorts and collaborations. HoChie: I have to tell you, I think it’s great that you guys are inspiring so many people out there. Your message is simple: Do what you love, and just go for it. And certainly, you guys set a great example. I’m looking forward to seeing what you guys come up with next! Thanks for taking the time to share with the audience of TaiwaneseAmerican.org! 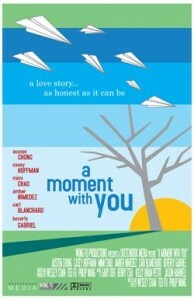 TaiwaneseAmerican.org is proud to present one of you a chance to win an autographed copy of their first feature movie on DVD: A Moment with You. Send an email to [email protected] with the subject line, “Wong Fu” by December 1st, and you’ll automatically be entered for the raffle drawing. One winner will be selected at random, but must have a domestic U.S. mailing address in order to receive the DVD. *EDIT* Congratulations to Joyce W. of Arlington, TX! Our random number generator chose you out of 65 entries! Happy Holidays!